Women love to shop and they are fond of the products which are friendly to their skin and as well to environment. Well, the time has come for the women in UAE for the next big thing to shop, though small in size. 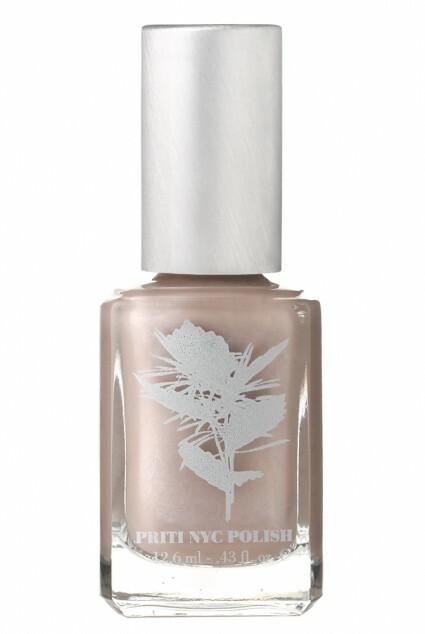 The eco-friendly Nail Polish Priti NYC has hit the stores in Dubai. The immense popularity of the Nail Polish product has already won many hearts in the world. Alright, ladies, get ready to do your mani-pedis at home from now on, because New York’s very first eco-friendly nail polish line has arrived here in Dubai. The Priti NYC nail care line was founded by former model Kim D’Amato in 2005. With an A-list fan base including Hollywood actresses such as Natalie Portman, super-star singers Lady Gaga and Beyonce and some of the fashion industries’ most renowned faces like Stella McCartney and Donna Karen, Priti NYC is famous among beauty insiders as the pioneer in natural and ecological beauty products. The long list of the fans and endorsers have also put Priti NYC to top of the market. Completely non-toxic, the unique Nail Polish line is a 5-free brand, which means they are free of the five most toxic ingredients extremely harmful to our health, which otherwise can be found in regular polishes. And apart from defying time, in terms of its drying speed and long lasting gloss, the colours also contain a UV inhibitor. There’s more, expecting mummies will be delighted to hear that the Priti line is completely safe for use during pregnancy, and it’s even suitable for the little ones at home! So, it is not only good for the environment but also for the users. Well, this has to be a product to look for. Presently the Priti NYC is available in 100 different shades including metallics, mattes, bright neons, rich darks and classic nudes and others. The Nail Polish has generated many hues in the market and the response is to be seen.